It's a bit hard to fathom. 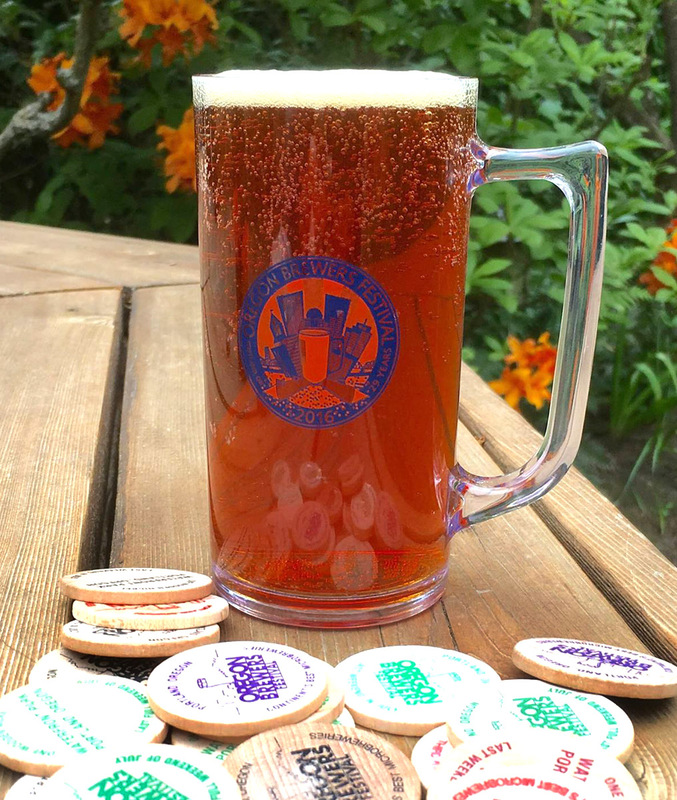 The Oregon Brewers Festival is celebrating 29 years. Some 80,000 craft beer lovers will descend on Waterfront Park to enjoy five days of fancy suds and sun. For the unknowing, the festival runs Wednesday through Sunday, July 27-31. The beer landscape has warped since that first OBF in 1988. Back then, there were seven craft breweries in Oregon. Today, Portland has 65 breweries and there are 30 more in the metro area. The state is home to nearly 250 breweries. The country will soon have 4,300. Shazam! As the brewery count has climbed, so too has the festival count. Hundreds of "festivals" now dot the Portland calendar. I don't even want to consider how many events populate the state and national calendar. A calculator might be helpful, if you want to do that. But the Oregon Brewers Festival is one of the oldest and largest in the country. It is, quite simply, the event that provided much of the form modern events have copied. Sure, there are differences in size and shape, but the basic form mostly starts and ends with the OBF. For many years, the OBF was the only serious show in town. We didn't have umpteen beer festivals a week. We didn't have specialty beers coming out of our ears. We also didn't have social media, which has helped magnify the event crush. Craft beer was mostly a novelty in that bygone era. That's obviously changed. The OBF has rolled with the punches to some extent. They've rearranged the grounds to allow for easier movement under the tents and (they hope) near the taps. The International Beer Garden is a recent addition, designed to showcase what's happening around the world. This year's IBG will feature 25 beers from Japan, Germany and The Netherlands. Of course, significantly altering the culture of an event of this size is tough...like turning an aircraft carrier around. Some geek types see the OBF as less relevant these days. These are the folks who chase rare specialty beers and gum up social media with their commentaries. I prefer to see OBF as a constant, a place where you can enjoy good beer in a great venue. Also a salute to the past. They'll pour 88 beers from independent craft breweries this year. Independent has become an increasingly important OBF theme in light of buyouts by Anheuser-Busch and others. When you look at the event program, you won't see beers from 10 Barrel or Elysian or Goose Island, all fully owned by AB. You also won't see beers from Ballast Point, fully owned by Constellation Brands, or Lagunitas, half owned by Heineken. Good philosophy, I think. The glass/mug is changing again this year. For the first 25 years, the fest used murky, white plastic mugs. In 2013, they switched to a glass glass to avoid odors from off-gassing and to allow better views of the beer. The glass lasted just two years (although I do have a nice collection at home for tasting parties, thanks to Art Larrance). Due to some "problems" downtown, Portland Police and Portland Parks banned glass from all parks. So the OBF switched to a clear plastic glass last year. Not bad. This year they're bringing back a mug, now in clear styrene plastic. If this mug is more substantial than last year's flimsy plastic glass, it will be a nice win for everyone. I'm not going to comment on the beers. The list is plain enough to see on the website and what you drink will depend largely on what you like in a beer. There are plenty of styles to go around this year on a list that isn't dominated by IPAs. I expect to seek out darker, sour and barrel-aged beers, but that's subject to change. You know the rest of the story. The festival features live music, food booths, craft vendors, a craft soda garden and homebrew demonstrations. 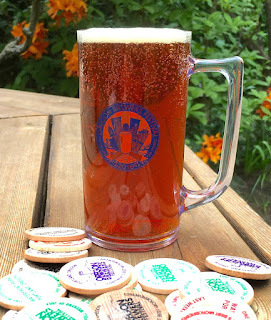 It doesn't cost a penny to enter and roam the grounds, but you'll have to buy a mug ($7) and tokens ($1 each) if you want to sample beers. It remains one of the better festival values, I think. In case I haven't provided enough info here. there's always the event website here, as well as the various social media feeds on Twitter, Facebook and Instagram. I have not received word regarding the presence of Pokemon species in Waterfront Park, but I'm sure they're around.